Protein Burger Buns, Protein Carrot Cake, and More! Hi everyone, I made it back to England yesterday after an incredible ten days in New York City. It was a crazy trip! I ran two Protein Pow workshops (here are pics for the first and second workshop), did a book signing at the Protein Bakery, and signed a ton of books in Barnes & Nobles across the city (my new book is now on store shelves across the US!) I also shot a bunch of recipes with Cellucor, in a test kitchen in Manhattan where apparently Martha Stewart often shoots (shoots videos, that is). All the recipe videos will be on YouTube soon, along with a protein cookoff that ended disastrously for me. I think you’re going to love watching that, in a schadenfreude way but… still, it’ll make for entertaining viewing. Here’s a behind-the-scenes album of our shoot. I’m hooking you guys up to a TON of great recipes for you to print out and have fun with. 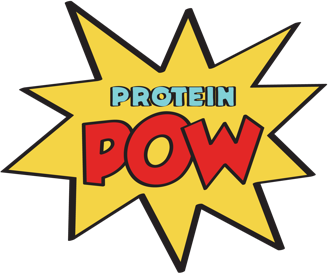 They’re all here, in my Protein Pow ‘Press’ page. My ‘Press’ page is one that I think you should regularly check and ideally, bookmark. That’s because I post my magazine articles on there every month and you can just go on it and print out my articles. They all appear on the UK, Australian, German, Italian, Dutch, and French editions of Muscle & Fitness magazine. You can get a virtual magazine subscription too so you can check out all the rest of the articles on it as well. There’s a lot of GREAT content on Muscle & Fitness and I’m honored to be one of their columnists! Out of all my recipes, I strongly recommend that you try the carrot cake. AND THE JAFFA CAKES! Seriously. Try the Jaffa Cakes. And did I mentioned the burger buns? Oy… try them all.